Please register as a vendor for the 2019 Annual Conference by clicking HERE! Thank you to all of our vendor supporters!! If you would like to join AKMGMA as a vendor affiliate member, please email [email protected]. The Health Profession Opportunity Grants (HPOG) program, administered by the Administration for Children and Families and the U.S. Department of Health & Human Services, was created to provide educational opportunities to TANF recipients and low-income individuals, seeking a career in healthcare. This is one of five tribal HPOG grants, which is housed and administered by Cook Inlet Tribal Council, Inc.
HPOG participants are given the opportunity to obtain higher education, training, and support services needed to secure positions that offer the opportunity for advancement and sustainability, ultimately leading these individuals on a pathway to financial self-sufficiency. Moss Adams LLP provides assurance, tax, and consulting insight and expertise to public, private, and not-for-profit health care enterprises. We serve more than 2,200 clients across the health care continuum, from large health systems, hospitals, and long-term care organizations to clinics, medical groups, and physician practices. Visit www.mossadams.com/healthcare. Traditional outbound marketing is so out. Direct mail, trade shows, print advertising, and telemarketing are all high in expense and low on leads and ROI. Strategic inbound marketing is so in. High-quality content, SEO, blogging, and social media are the basis of a strong Internet marketing program that converts leads and generates real customers. And what about mobile? How are you reaching the 50%+ of the world now accessing the Internet through mobile devices? Let KDMC help you create a strong, integrated marketing program that connects you with the people who matter most. Orr Systems specializes in supporting the unique needs of healthcare organizations. Orr Systems has provided companies with IT Consulting services for over 10 years. Our customers have found Orr Systems to be an excellent, cost effective option for computer system administration. Orr Systems is not the biggest computer support company, but our customers say we are the best. We strive to exceed our customers’ expectations daily. At Orr Systems our goal is to share our experiences and expertise in making the Medical Office and your Providers successful with Implementing, training, and optimizing your Electronic Health Record/Practice Management (EHR/PM) System. For many companies, we have been able to effectively evolve their computer systems into more useful, efficient, and secure systems. The results have been less down time, better efficiency, lower costs, and peace of mind. And, from our client comments, we know that peace of mind is perhaps the greatest service we offer. The Wilson Agency is a full service employee benefits advisory firm, helping Alaskan businesses to develop an organized approach to insurance and retirement benefits. Through, ConnectHR, The Wilson Agency’s HR services division, the company offers strategic solutions for developing workforces through integrated benefits and human resource services. "Your Healthcare partner in maximizing patient care through ancillary programs"
VBM provides the Information Technology Solutions and Services that the Medical community demands. We understand that Healthcare Providers are under unprecedented pressures for Compliance, Performance and Efficiency. We have adapted our services and offerings over the years to help Care Providers use technology to increase Employee/Practice Efficiency, Capture and Access Information easier, and Reduce Risk. 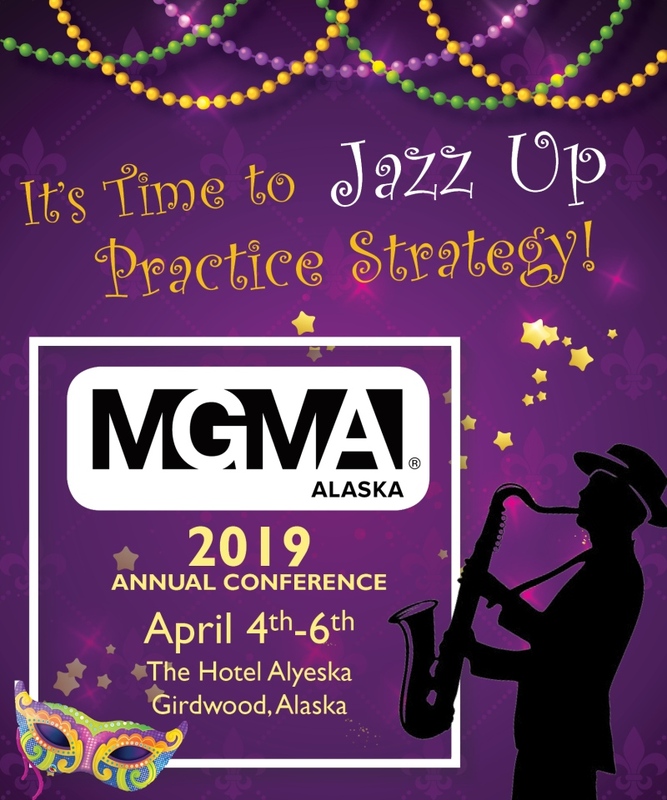 We’re proud to be a Sponsor of Alaska MGMA, and Thankful for the Privilege to work with each and every one of our partners in the Healthcare and Dental Industries. Quatris Healthco is the largest and most experienced Centricity Practice Solution EMR and Practice Management software partner nationwide. We proudly offer a best-of-both-worlds solution for medical practices. Our customers benefit from enterprise-level healthcare cloud technology coupled with local, personalized, best-in-class service and support. As your practice partner, we work closely with you to install, upgrade and support your technology, and train your office and clinical staff on how to make the most of your Centricity Practice Solution investment. No one is better prepared to help you improve patient care and profitability, reduce costs and stay compliant.